He created Darin.CC to help educate the public on Search Engine Marketing techniques. He has seen so many bad Internet Marketing Sites out there and with my current involvement in Search Engine Marketing he feels, if he shares his knowledge with the world, he can make a difference in helping others Market their websites effectively! 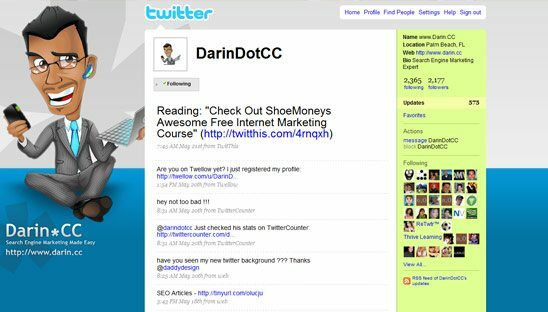 This Twitter background design was based off the design we did for Darin’s wordpress site.